Everyone needs a cup of tea or coffee to get them going in the morning, and thanks to our increasing love affair with cappuccinos, mochas, flat whites and espressos, running a coffee shop is a great business to get into right now. If you want to make sure you’re providing the very best for your customers, you need to make sure that your business plan is in order – and that includes getting the right type of coffee shop insurance at the right price. Park Insurance, a local broker with over 30 years’ experience in providing great cover at great prices, can help. At Park Insurance, we have over three decades of experience delivering premium quality insurance packages at affordable prices. And because we’re passionate about food too, we have an intimate understanding of the catering and hospitality industry and the unique challenges small businesses in this sector face every day. By combining this with our status as one of Bristol’s leading businesses, and utilising our preferred broker status with some of the UK’s largest insurance providers, we can source specialist cover that’s precisely tailored to fit your needs. 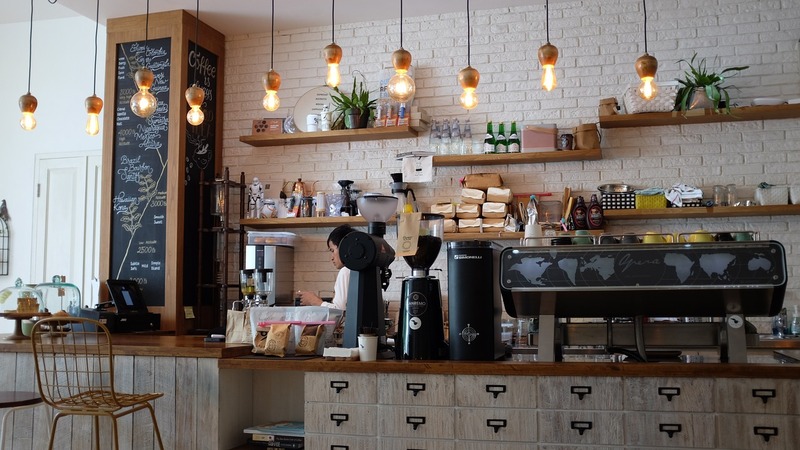 Coffee shops need to consider not just standard insurance requirements such as employer’s liability, public liability and buildings and contents insurance, but other types of financial protection too. With slim profit margins and high overheads, all of that has to be at the right cost, so that it enhances the value of your business rather than eats into your bottom-line figures. What coffee shop insurance do you need? Employer’s Liability Insurance – this is the only type of insurance for businesses that is mandatory. If you employ anyone, even if it’s only on a part-time basis, you must have employer’s liability insurance. Buildings and content insurance – remember that standard B&C insurance won’t cover a business, so you will need to look for specialist cover that also takes into consideration the unique requirements of a catering business. Public liability insurance – although not a legal requirement, at Park Insurance we strongly recommend that you take out the best PLI you can afford. This gives you financial peace of mind should a customer be injured or fall ill as a direct result of a visit to your shop, even if it’s a scald or burn from a hot cup of takeaway coffee. Stock cover – specifically designed to protect you financially against losses as a result of damage to perishable stock, for example, if a refrigeration unit fails. Key Personnel Insurance – if you suddenly and unexpectedly lose a key member of staff, this cover will provide financial protection until you can replace them. Business interruption insurance – keeps the finances stable if your business has to stop trading due to circumstances beyond your control such as flooding, fire or a natural disaster. Legal protection – an essential that is often overlooked, legal protection gives you financial cover should you need the services of the legal profession, for example, during an injury compensation claim. To find out more about specialist coffee shop insurance packages and to discover how Park Insurance can help you find the right deal at the right price, contact us today. Use our online Contact form, or call us direct and speak to one of our friendly, experienced advisers for impartial advice and a free, no-obligation quote.